On June 11th 2015, IE Business School along with 22 different country clubs had the pleasure to celebrate the diversity of the school with the 9th Edition of the Global Village. Global Village is an annual event organized by IE students in cooperation with the IE Net Impact Club and IE Campus Life. The event showcases IE’s diversity through food, performances and arts and crafts prepared by various country clubs. This year ́s event hosted approximately 450 participants including IE students, faculty, and IE collaborators. 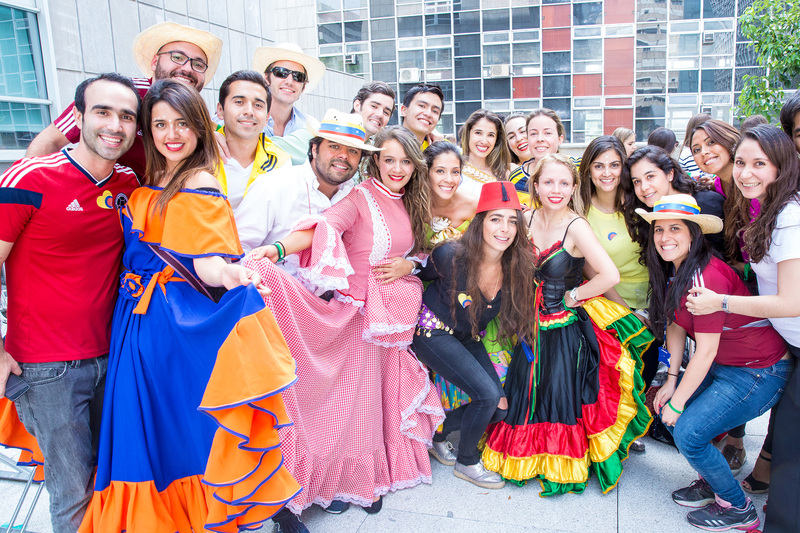 The event also featured performances by various country clubs, including presentations by Mexico, Peru, Venezuela, India, Lebanon, Bolivia, Azerbaijan, Salsa Club, Colombia, and IE Faculty of Music. By a show of applause, Colombia was the winning performance. The Colombia club showcased mapalé and cumbia – traditional dances. The funds raised by this year’s edition, approximately €9,300, will be used to fund the next Social Responsibility Forum, an international congress organized by the Net Impact Club on corporate social responsibility set to take place in November 2015. We want to thank all sponsoring Embassies, organizations and companies that supported the efforts of the students to showcase their national pride. Thank you to all attendants to the event, surely the success of this edition can only be surpassed by the success of next year ́s edition. To view photos of the event, you can visit the IE Flickr page. Congratulations to our IE Woman of the Month for June!Join us for our next IMBA Open Day in Madrid, on Friday, July 17th!